According to a report from the IBM Center for the Business of Government, the U.S. federal government has released nearly 300 mobile apps for citizens. These apps range from general informational services to crowdsourcing projects to providing government services. Federal agencies have been doing well in fulfilling the 2012 Digital Government Strategy’s mandate of providing “high-quality digital government information and services . . . anywhere, anytime, on any device” (from the IBM Report). However, the federal government has not taken advantage of the enterprise-focused (EF) mobile app revolution. EF mobile apps help employees by providing organizational information services or support employee collaboration. The private sector has rapidly adopted numerous EF mobile apps for data analytics, human resources processes and supporting distributed teams. In contrast, there are maybe 20 EF mobile apps among five federal government agencies and, as the IBM Report indicates, there seem to be few prospects for building more federal EF mobile apps. This is a missed opportunity. The federal government can directly benefit from the increased productivity and collaboration brought about by building more EF mobile apps. Indirectly, government can benefit through increased internal agency collaboration while developing and implementing information technology (IT) solutions more rapidly and effectively. Federal agencies can realize these benefits by taking the following three steps. Before building more federal EF mobile apps, government agencies will need to re-examine their existing business processes. There are numerous examples of failed government projects where agencies tried to automate existing manual processes that proved too cumbersome or unadaptable to automation. 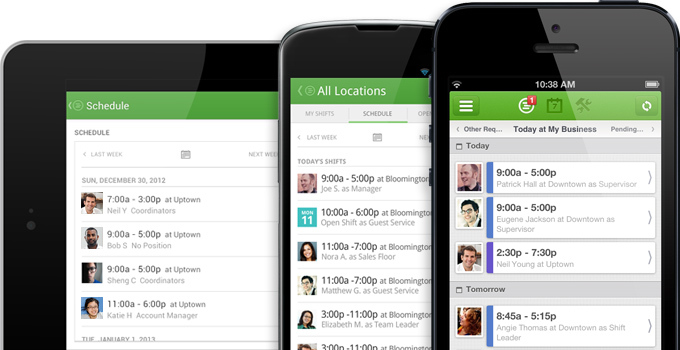 As the private sector has learned, EF mobile apps force the organization to break down silos. Silos prevent the knowledge flow and collaboration that the processes supporting EF mobile apps need to work effectively. Before designing an EF mobile app, organizations first need to redesign their processes. The same methods that designed the existing business processes cannot be used for designing the new EF mobile apps processes. Creating a list of requirements, going away to build an app without further input and then presenting the app as a fait accompli is the formula for building an EF mobile app that will not be used by employees. Instead, use HCD to fully learn the needs of the EF mobile app users. Build prototypes to continually test the effectiveness of the app while ensuring users will enthusiastically accept it. Agile development, coupled with HCD, can help agencies overcome the barriers that limit EF mobile app development. Federal agencies currently suffer from declining IT budgets, legacy systems, lack of mobile app development talent and ambiguity around the agencies’ strategic goals. Using shared design patterns, components and modules can help standardize EF mobile app development while rapidly increasing app development and implementation. Design patterns are repeatable templates that guide the overall design and functionality of mobile apps. Components are shared pieces of codes that provide user interface elements for an app (such as a submit button or a calendar select box). Modules are like components but offer more features that can help the app connect to data sources or present a data graph. There are enough common internal business processes in federal agencies that they can pool together resources to create standard governmentwide EF mobile apps. Federal agencies can also benefit from adopting DevOps in not only developing EF mobile apps but also in developing and deploying all agency IT products and services. DevOps encourages better communication between developers and the other IT professionals who implement the developer’s solutions. DevOps also establishes a process of more rapidly building, testing and deploying software while increasing the reliability of software. The same emphasis on collaboration among the IT units can also be spread to the other units in the agency. The federal government has proved it can build useful and well-designed mobile apps for citizens. Just examine the listings on the Federal Government Mobile Apps Directory to see the wide range of apps from almost every one of the federal agencies. Mobile apps for citizens have an immediate payoff for the federal government. Even so, federal agencies can attain more substantial, long-term benefits by devoting time and resources to building cross-government EF mobile apps using a shared governmentwide library of design patterns, components and modules. Building EF mobile apps compels the agencies to modernize their business processes, break down organizational silos, increase collaboration and use HCD and DevOps to build better IT applications more effectively. Author: Bill Brantley teaches at the University of Maryland (College Park) and the University of Louisville. He also works as a federal employee for the U.S. Patent and Trademark Office. All opinions are his own and do not reflect the opinions of his employers. He can be reached at http://about.me/bbrantley.